The Jasmine Tea is usually green or white tea with added jasmine flavors. It is scented and very popular, easy drinking tea even for non tea enthusiasts. The Jasmine Tea can be served with meals, as a welcome drink or as a daily drink. The Jasmine Tea is brewed on the same way as green tea. The most common Jasmine Teas are in leaves, very similar to common green teas. 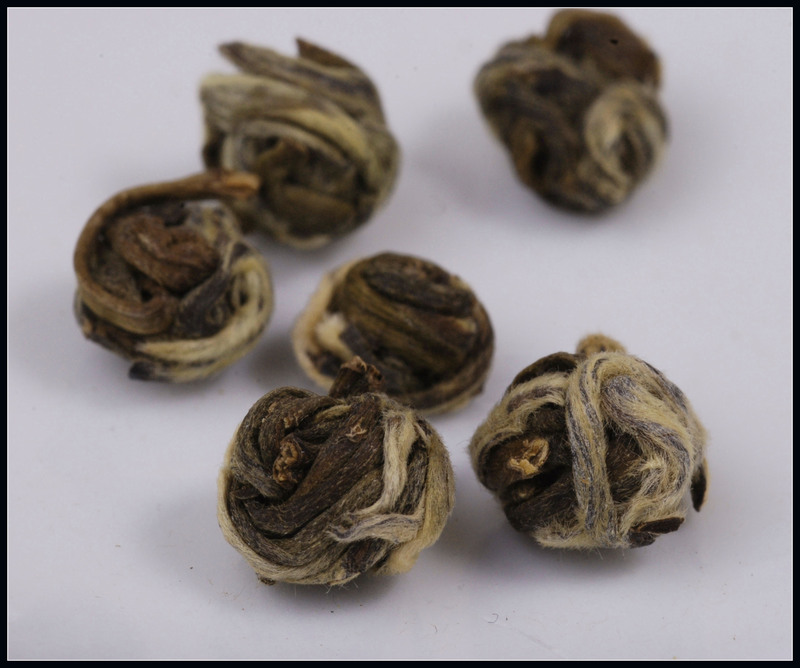 a premium is the Jasmine Dragon Phoenix Tea, made by rolling the tea leaves into a small pearl shape. Jasmine Dragon Phoenix Tea are beautiful pearl like tea. When the package is opened the characteristic fresh smell of jasmine is perceived. It is a good and easy drinking tea. This entry was posted in Jasmine Tea. Bookmark the permalink.